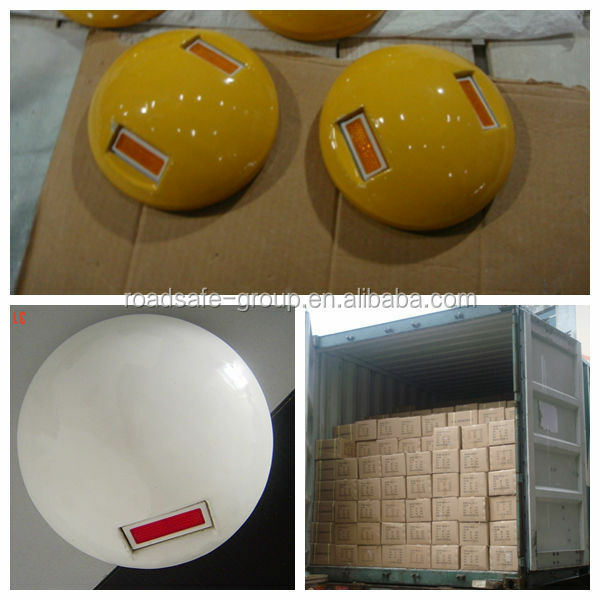 1.Reflector:Under each reflector there is a vacuum plate which prevent the reflector from being polluted by air or water.And make it can even work after some part of reflector is boken.Whole road studs including reflector is totally solid,no any emptiness,that is why our road stud is so highly compression resistance,both body and reflector not easy to be broken. 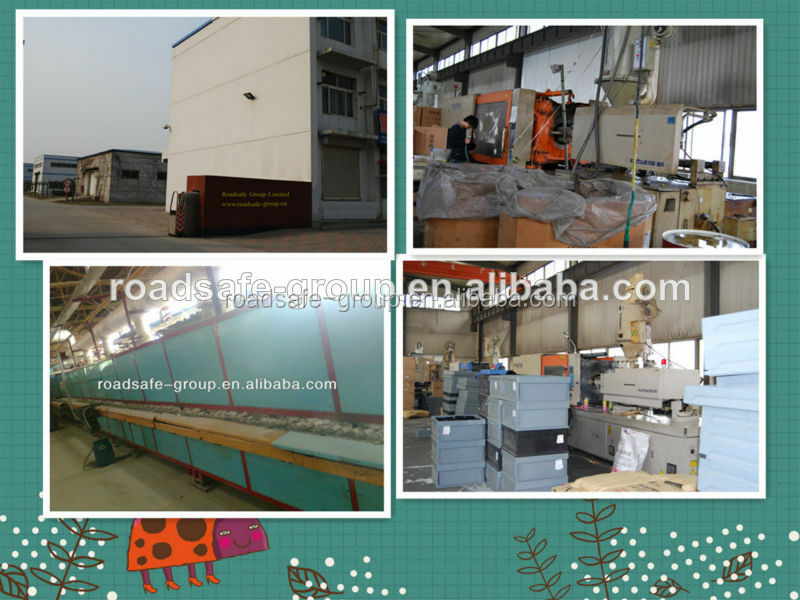 2.Anti-abrasion glass face,as its name,is made of glass and used to protect reflector from being scratched by small stones or sands on wheels. 3.No fading in 9 years with high quality pigment of lens and special uv-coated treatment. 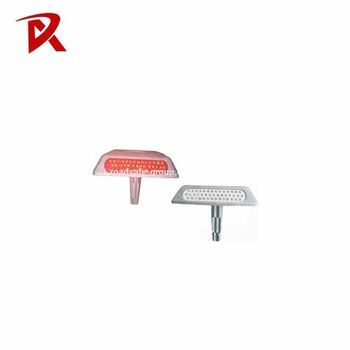 • The Aluminum Road Stud is fixed onto the road by an anti-t wist stem for extra stability. • Resistant to corrosive effects of salt and grit. 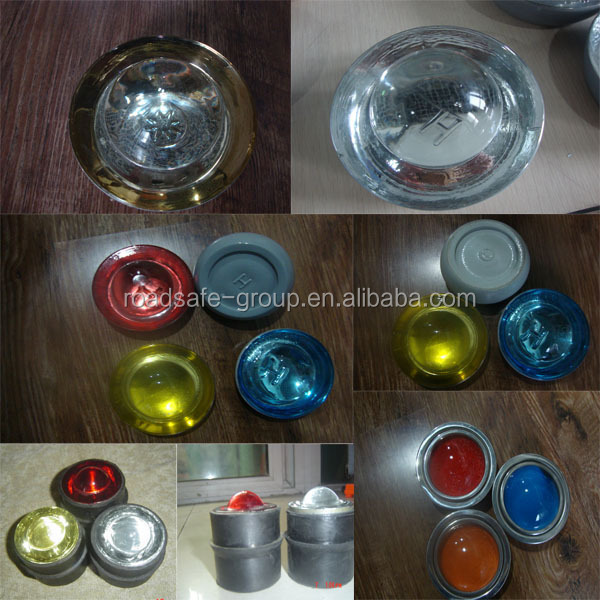 • It is anti-abrasion for the glass-layered lens of the Aluminum Road Stud. • Vacuum-plated lens is free from dust. • No fading in 3 year with high quality pigment of lens and special UV-coated treatment. 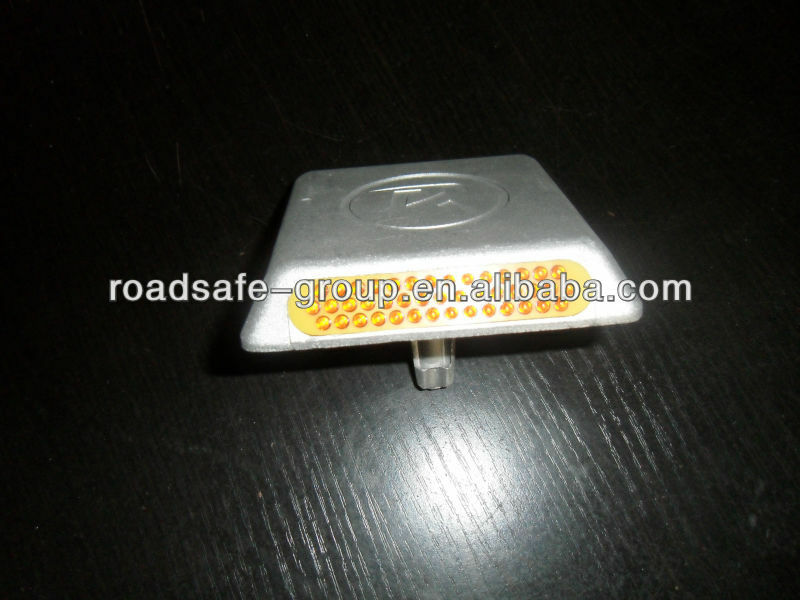 • The Aluminum Road Stud gets a good reflectivity equal to the intensity of diamond grade. 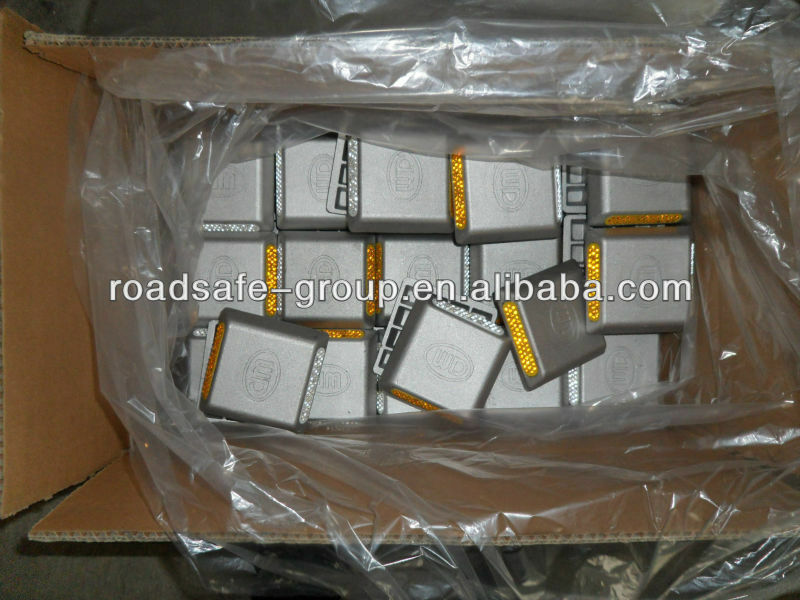 • The Aluminum Road Stud can withstand the most arduous traffic conditions and be durable. 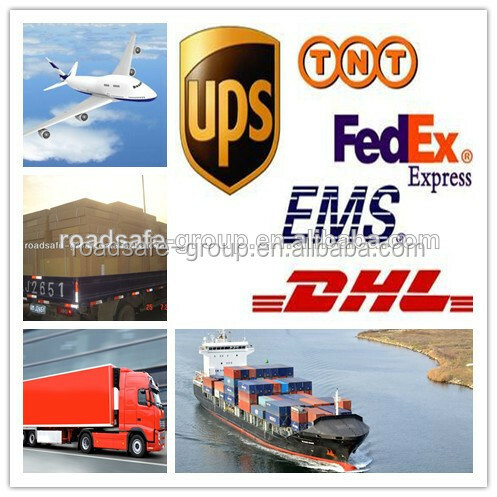 • The Aluminum Road Stud has tested on all type of road and approved by the Department of Transportation. 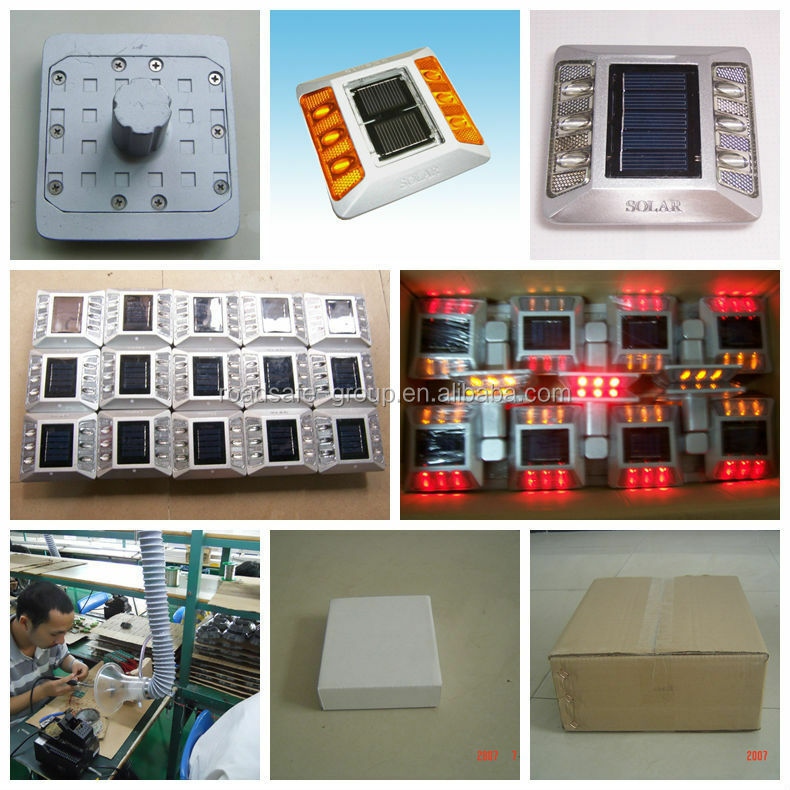 • The Aluminum Road Stud is suitable for centre line demarcation. • One without leg is also available. 3. Clean the glue spillage. 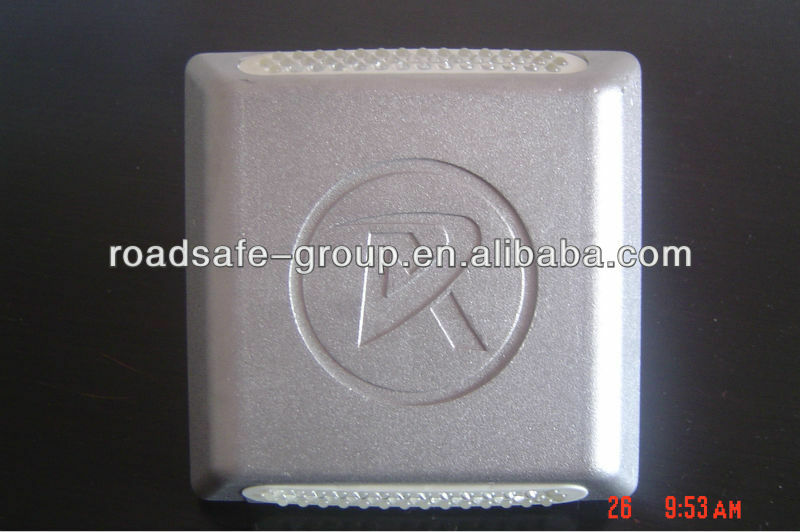 Aluminum Road Stud is not workable until 8 hours after installation.